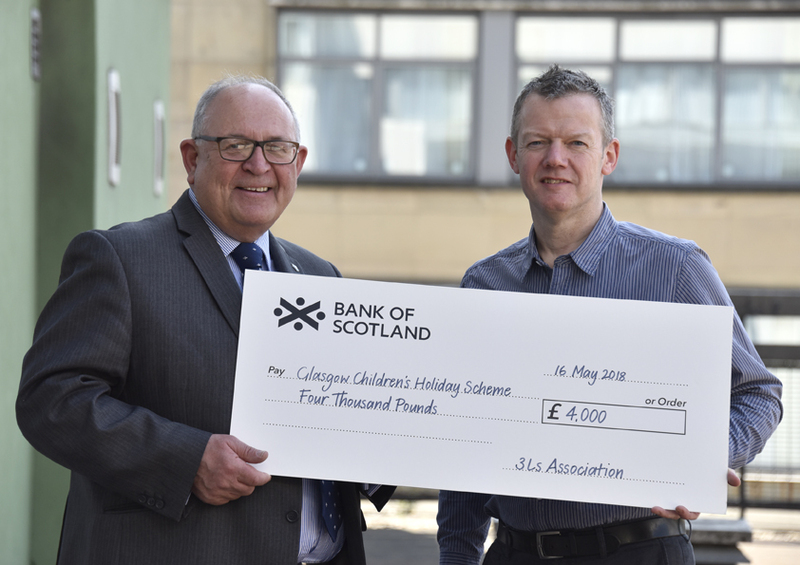 At the AGM, John Parkhill, outgoing 3Ls President presented a cheque for £4,000 to Douglas Wilson of the GCHS as a donation towards the charity, which offers caravan holidays in Wemyss Bay and Blair Atholl to disadvantaged children and families. Mr Wilson explained that the donation would meet the costs of a caravan for 15 months allowing 100 families to enjoy a seaside holiday. John thanked 3Ls members and Clubs for all their efforts over the year in raising an impressive sum.